Topshop's brown slip skirt had barely touched the shelves before it was snapped up by eager shoppers. Helped along by the on-trend colourway and Monikh Dale's rave review on Instagram, this piece was destined for viral success. Clearly, the UK is a nation infatuated with the slip skirt. If you missed out on the action the first time, worry not, because the skirt is officially back in 11 (yes, we said 11) chic new colourways and prints. The latest offering? A lime-green floral number. The perfect antidote to the browns and beige pieces proliferating right now, we can totally imagine throwing this on with a white cami top and trainers. Scroll down to see and shop the new styles—they won't stick around for long. Topshop's shopping storm got me thinking, What are the components that make up a decent slip? Unlike leopard print, it's a trend that can easily look quite cheap and unflattering if handled incorrectly, so I've formulated a three-step guide to finding a slip skirt you'll wear again and again. Scroll down to see and shop our favourite pieces. 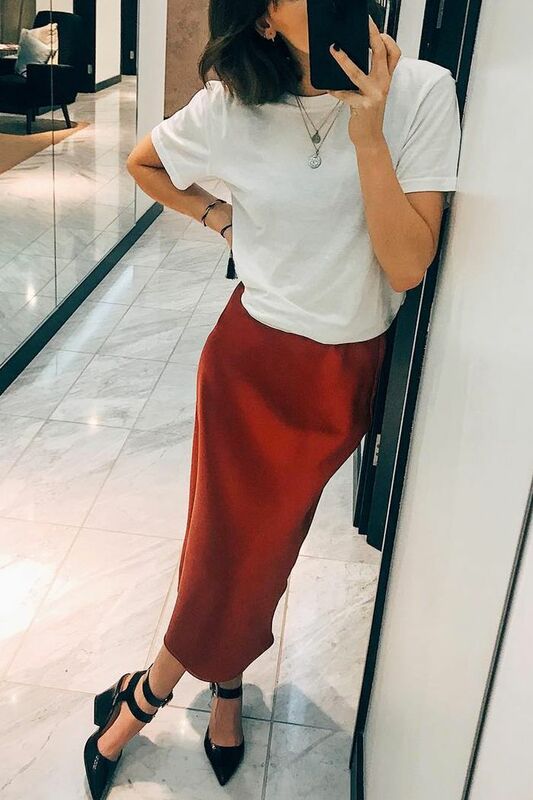 Who What Wear UK's Emma Spedding loves her & Other Stories rust-coloured slip skirt, however, she's found that the satin fabric creases very easily, which ruins the shiny, flowy look you want from a slip skirt. Our solution? When trying on a skirt at the store, try sitting down, crossing your legs and walking around in it to get a sense of how the fabric will fare in day-to-day life. After all, no one wants to be a slave to the steamer. For some reason, it can be tricky to find a skirt that is flattering in fit and length. Midi lengths are very much en vogue at the moment, and I've found that the chicest skirts feature hemlines that stop somewhere between the top of the calf and the ankle. 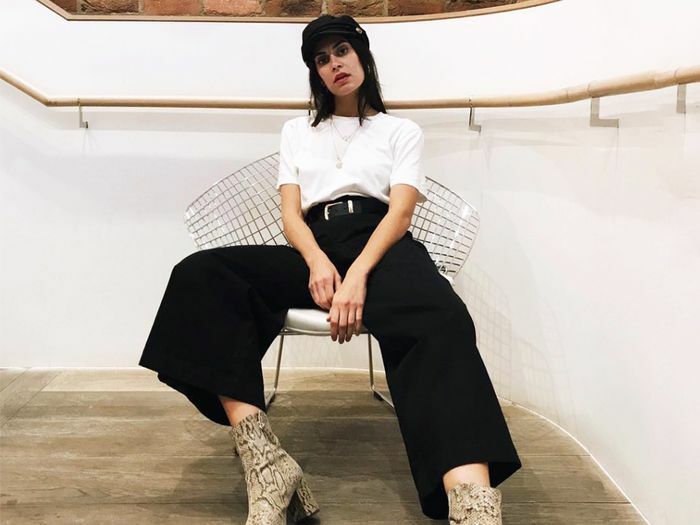 A longer length might swamp the body whilst a shorter style might look odd with the slip's body-skimming fit (unless you're going for a true '90s vibe). Shoes also play a part in the overall look. the consensus among the fashion crowd? Go for low-heeled, pointed-toe styles. Last (but by no means least) is colour. While muted tones, such as brown, cream and black had currency earlier in the season, spring has brought a wave of paintbox brights and loud prints. Our favourite pieces at the moment come in shades such as lime green, powder blue, lime pink and yellow tones. Whatever you go for, just make sure the colour can easily be paired with other pieces in your wardrobe.